This book was purchased using the proceeds of the 2015 Christmas Raffle. The Blurb: The highly successful Clementine mission gave scientists their first global look at the Moon. Based on information gathered from this mission combined with data from recent missions, this unique atlas contains 144 maps covering the entire lunar surface, along with colour plates showing the Moon’s composition and physical properties. 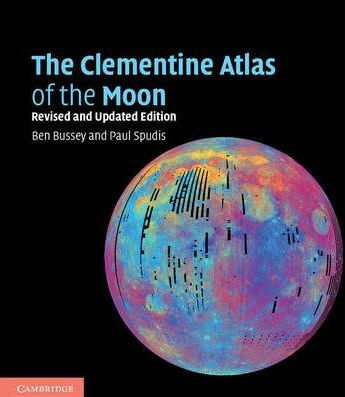 The first part of the atlas describes the origin and geological evolution of the Moon and gives a brief history of lunar science and exploration, while the second features double-page spreads consisting of Clementine images paired with newly created shaded-relief maps generated from LROC topography data. This edition has been fully revised and extended to cover the armada of new missions that have launched since 2004. With one of the most complete and up-to-date lunar nomenclature databases, this is an indispensable reference for professional planetary and space scientists, amateur astronomers, and lunar enthusiasts.